At the beginning of most days when I'm sewing, I sort out the scraps and leftovers of the day before. Sometimes I don't get anything much to show for it, sometimes one block, but some days, it's like hitting the jackpot. This time, I got four crumb blocks big enough to cut and add to my growing pile. I can't remember getting so many at one time. I don't think it will be too long before I'll have to think about putting them together in one quilt. 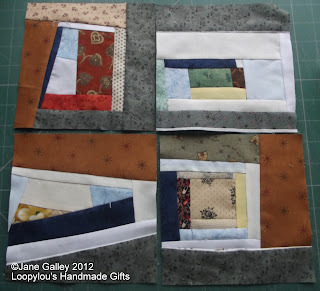 I've even done the string block for this month's Rainbow Scrap Challenge and made a start on the crumb blocks. Wow that is a lot of blocks from yesterdays scraps. Love the string block! How many crumb blocks do you have now? Very nice pile of blocks! 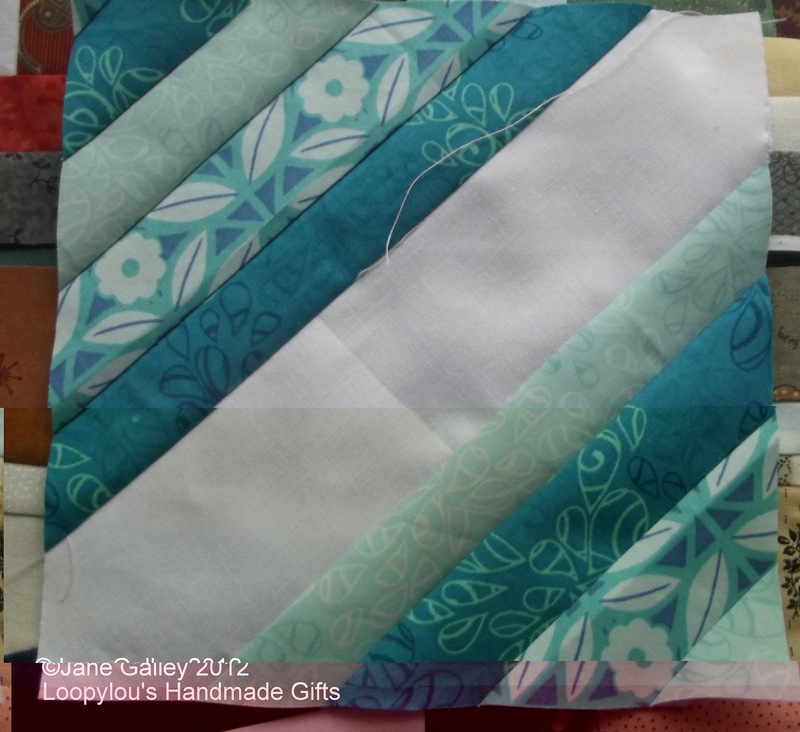 Your choice of colors for the string block is so lovely! Way to go! I'm going to start doing crumbs too. Fabric cost so much that we need to use it all up. I love your string block too. Like the string block and always think of crumb blocks as a gift. This is going to be another pretty quilt when you put them all together.